Ferrell has ensconced himself as the top prospect on Clemson’s talented defense. He’s a slam dunk first round pick because of his combination of size (6050/260) and speed. His career stats are excellent as well: 158 tackles, 48.0 tackles for loss and 26.0 sacks. Ferrell plays with a relentless but not reckless pace. He appears to have very good instincts and can quickly diagnose what’s going on in the offensive backfield. Ferrell plays as a down lineman so I’d expect 4-3 teams to target him but he’s probably good enough to adapt to any system. The line for this one keeps creeping larger and larger but it doesn’t matter to me. Clemson would be my pick if the line was twice as big. Notre Dame is a solid team who finally found their QB in Ian Book, however Clemson has them bested at each position. Much of the talk in this one will be about Clemson’s defense but RSO owners should also pay attention to the star underclassmen that the Tigers have on offense (QB Trevor Lawrence, RB Travis Etienne, WR Tee Higgins). There are so many draft eligible players in this one that it’s an impossible task to pick one. I settled on Williams because his name has been en vogue lately. Williams is a redshirt sophomore who played sparingly in 2017. In 2018 he totaled 66 tackles, 18.0 tackles for loss and 8.0 sacks. The reason that Williams’ name has become so hot is because he’s on a five game tear. In those five games he has at least one sack in each contest (6.5 total), 33 total tackles and 9.5 tackles for loss. His best game of the bunch was a dominating performance against #4 LSU (10-3.5-2.5) so I decided to watch the film. Williams measures in at 6040/289 but his quickness belies his size. He has fast hands and is typically on the blocker faster than they can react. He was often double- and triple-teamed but still made an impact. His push through the interior disrupts the pocket and leads to sacks or tackles for loss for his teammates. My initial impression before watching the LSU film was that #DraftTwitter was overreacting to a small sample size of recent games but that thought was wrong. 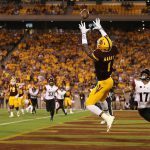 Williams is the real deal and will be a Top 10 pick if he comes out. I won’t be playing this game ATS or on the moneyline. It’s just too fraught to pick in my opinion. Nick Saban has won his last three semi-final games by a combined score of 86-13, while the three subsequent championship games were all single digit margins. That tells me that if you give the Tide time to prepare, they will destroy you. Then what’s my hang up? The Sooners offense, led by QB Kyler Murray, is ranked 1st overall in the FBS. They can put up points but have not played a defense like Alabama’s yet. If I had to guess, I would say that Alabama’s defense outplays Oklahoma’s offense but I have enough doubt to sit this one out. I will be betting the over though. The teams have gone over a combined 19 times in 26 games. White has led the Tigers in tackles the last two seasons, totaling 248 between. He’s constantly around the ball and will be an IDP darling because he also collects sacks and turnovers. White is ranked as the #2 interior linebacker, and #24 overall, in the class by TheDraftNetwork.com and is even higher on some other industry lists. When I was searching for tape online, I came across a highlight clip titled “Fastest Linebacker in the Country.” After watching the clip, I have to admit that I was impressed with his straight line speed. 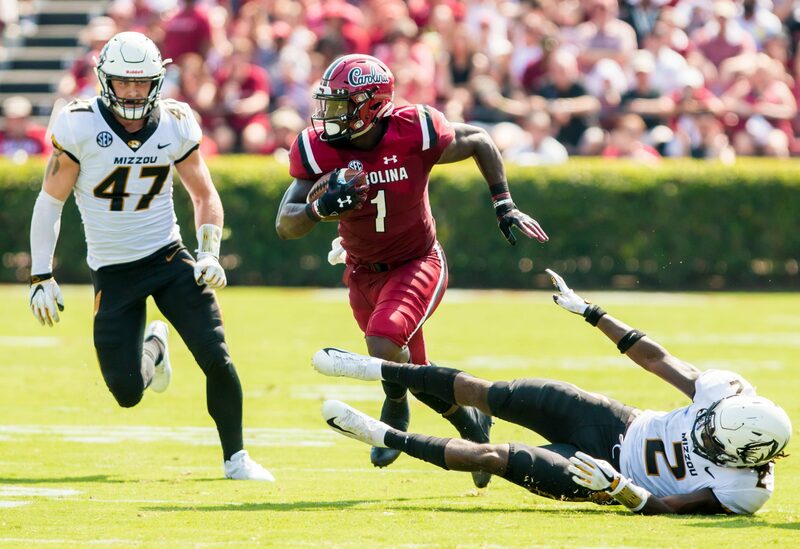 Whether he’s using it to rush the quarterback right up the gut or going sideline-to-sideline pursuing a running back, White has an extra gear that most in his position don’t. It’ll be so much fun watching him matchup with a running quarterback like UCF’s Darriel Mack. If you like fun, don’t bet on LSU. I took them in numerous games this season and was let down each time. They ended up 6-6 ATS and I might have had them in each of those six losses, oh well. UCF on the other hand is 9-3 ATS, including 5-1 in the last six. You can’t disregard the loss of QB McKenzie Milton but backup Darriel Mack showed he’s capable. Mack single-handedly engineered a comeback in the AAC Championship game by rushing for four 2nd half touchdowns. Take the points and enjoy yourself rooting for a UCF team that won’t be out of it even if they’re down. [Insert quippy boilerplate “2019 Quarterback Class” comment here]. After his first year as the starter, Haskins has catapulted near the top of 2019 quarterback rankings. He completes a conference-leading 70.2% of his passes and finished with a crazy 47:8 TD:INT ratio. There’s a chance that Haskins surpasses 5,000 passing yards – he needs 420, a mark he’s beat three times this year. There’s no question that Haskins has an accurate arm, anticipates his receivers well and throws with touch. The recent track record of run-first Buckeye QBs may hurt Haskins in the eyes of casual fans but don’t let it jade you, he’s a natural thrower who is a quarterback through and through. In the 2019 class he’s likely a first rounder due to the lack of solid quarterback prospects. Neither team has been great for bettors recently so I’m not picking this one based on trends or stats. It’s just a gut feeling. Ohio State undoubtedly thinks they should be in the playoff. They will be playing angry and will run up the score to show the committee they made a mistake. The players are also playing their last game for Urban Meyer so there will be an added impetus to play well. I’m going Ohio State and might even play an alternate line and lay even more points. Riley is the younger brother of Falcons rookie WR Calvin Ridley. And, if you believe the hype on Twitter, Ridley the younger could be just as good. I’ve seen a number of Georgia games this season but did not have a feel for Ridley so I decided to go back and watch one of his films. The only one I could find from 2018 was against LSU when he had a 3-75-1 stat line. Unfortunately the lack of sample size is an issue for Ridley in general, not just in the LSU game I watched. He has just 64 career receptions, 38 of which came in 2018. During the LSU game, I saw a receiver with a good get-off and quick feet out of his breaks. He relies on his speed and quickness to get separation rather than physicality or strength. To get a better feel for his hands, I watched an extended highlight package from the season. He tracks the ball well and shows sticky hands even if he’s forced into an awkward hand placement. When he runs after the catch he likes to utilize a backwards cut that helps him find space and gain extra yardage. Unsurprisingly, I saw him whiff on a number of blocks. 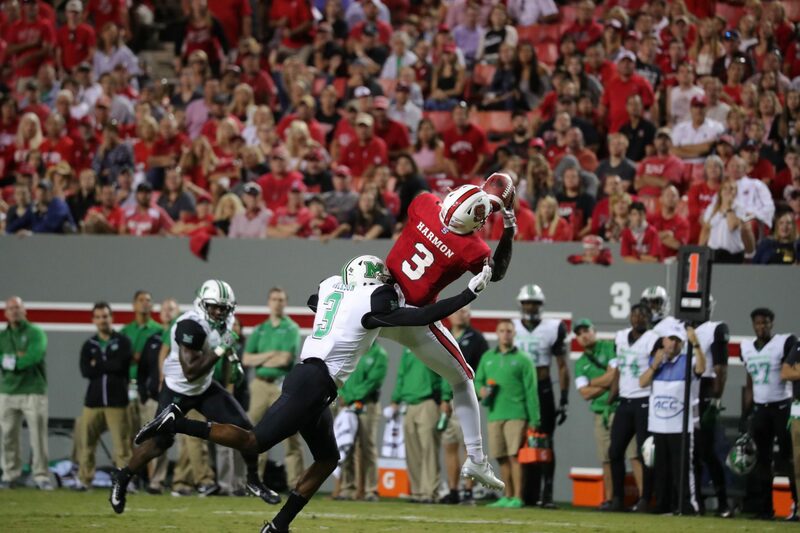 I have not seen enough of Ridley to properly rank him but I definitely see that he has the raw tools to be an NFL receiver. No offense to Texas but they don’t feel like they belong in a New Years Six bowl game. 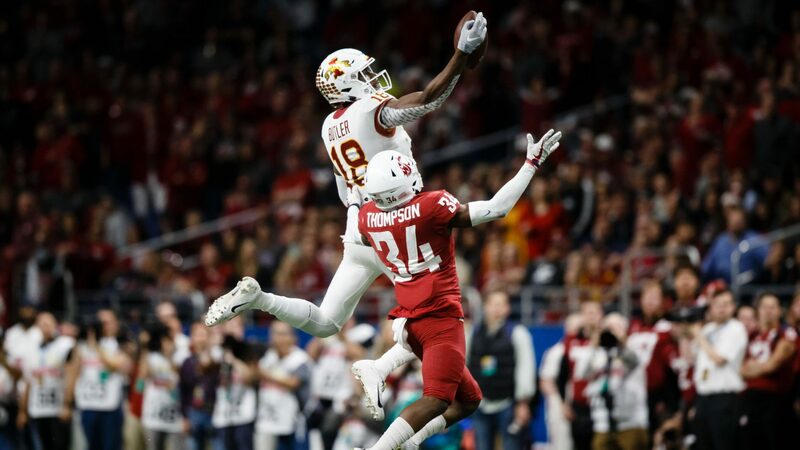 Luckily they have two NFL receivers in Collin Johnson and Lil’Jordan Humphrey so they’ll be worth watching. Georgia won their last two ATS while Texas has lost their last two, so the trends point toward the Bulldogs. Lines and betting stats courtesy of OddsShark.com, as of 12/26. The name to know while watching the inaugural Redbox Bowl will undoubtedly be Oregon QB Justin Herbert. Herbert has confirmed that he is going to play in the bowl which is a departure from other top prospects, including fellow QB Will Grier. Herbert has prototypical NFL quarterback size at 6060/233 to go along with his above average athleticism and speed. His mechanics and footwork could use some improvement but he has enough accuracy and arm strength to overcome some of his poorer habits. Herbert will be in contention for the first pick in the 2019 NFL Draft so be prepared to hear about him all offseason. This matchup against the Spartans defense, who ranks 13th overall in the FBS in points allowed, will prove to be a tricky final exam. This may be the game with the worst combined record ATS this season (both teams are 4-8 for a combined 8-16 mark). The Spartans offense pales in comparison to its defense (120th in points scored versus 13th in points against) and it could be without starting QB Brian Lewerke. Herbert will be able to move the ball because the defense is weaker against the pass than the run. In my opinion, Lock has a wide range of potential draft outcomes. 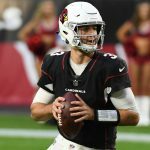 He could go first overall (as can any other Top 10 quarterback prospect once we get into “shorts and t-shirt” season) or fall to the fifth round. Depending on when you looked, Lock has fluctuated greatly on experts’ big boards. He exploded in 2017 for 3,964 yards and 44 TDs but regressed statistically in 2018 (3,125-25). I haven’t done a recent study of Lock but in the preseason I summed him up thusly: “I felt that both the speed and touch on his balls was average to above average but inconsistent. To borrow a cliche, he has the ‘arm talent’ but he doesn’t display it on every rep. I have to admit that he can throw a beauty of a ball [though], dude can spin it.” Lock has already accepted a Senior Bowl invitation so his showcase circuit is just beginning. 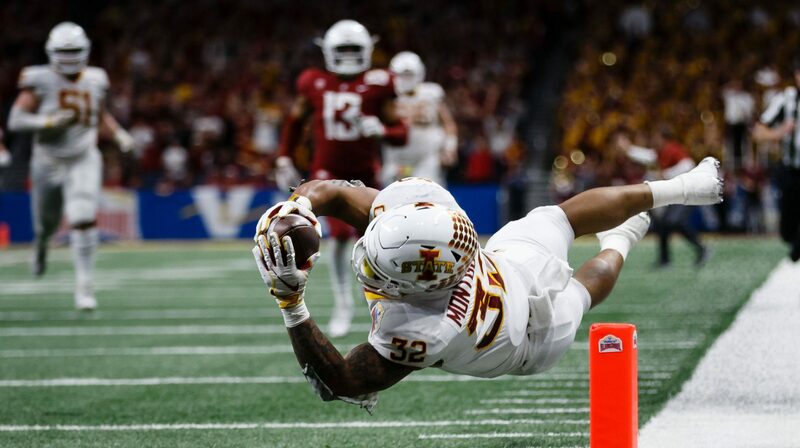 Unfortunately, two other offensive draft prospects will likely sit out of this one due to injury: Mizzou TE Albert Okwuegbunam and Cowboy RB Justice Hill. This one is a big number but Oklahoma State’s defense is just not good enough to slow down Lock. The Tigers are 3-1 in their last four games ATS and I expect that trend to continue. I came across Hansen’s name for the first time while looking for a player to spotlight for this game. His 2018 totals stood out: 114 tackles, 22.0 tackles for loss, 5.0 sacks, 2 INTs. After I read his bio, I was even more intrigued. Hansen redshirted all the way back in 2012 and then went on a church mission trip for two years. He returned to campus for the 2015 season which was cut short due to injury. 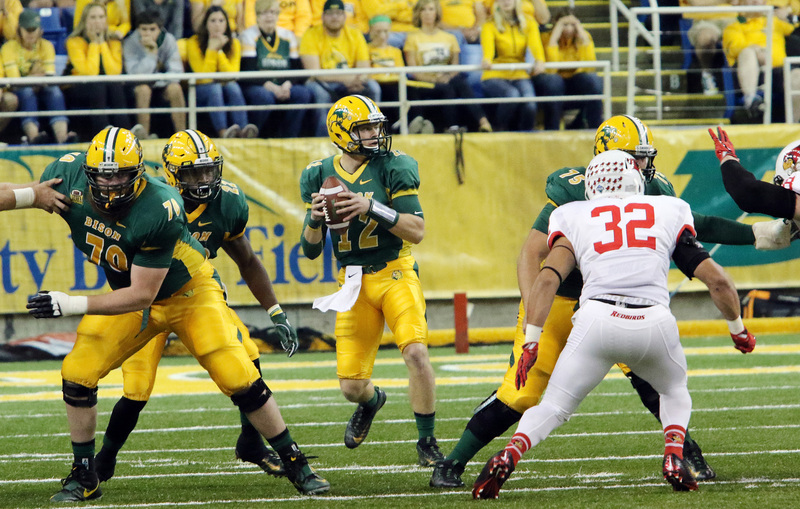 During that initial campaign, Hansen played at both safety and quarterback. In 2016, he switched to defense full-time but split time between linebacker and safety. He did the same in 2017 but again missed time to injury. 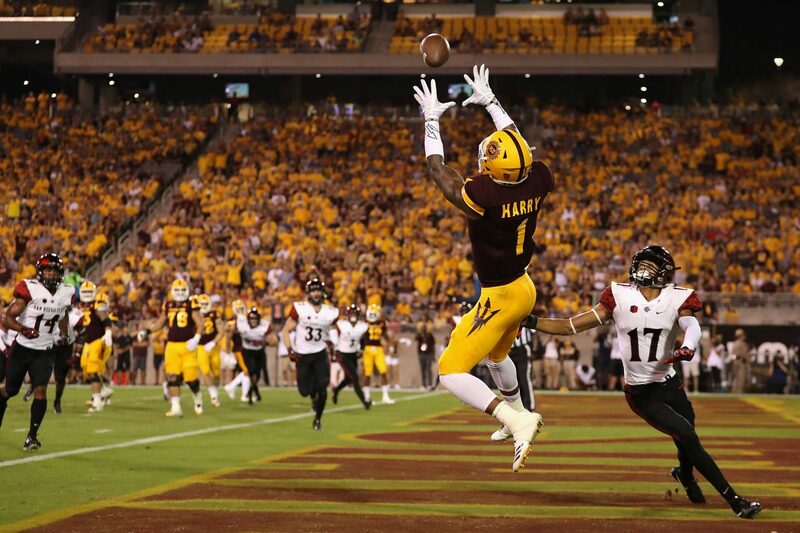 Fast forward to this season where his determination finally paid off with All-American and All-Pac-12 honors. Along the way, Hansen has won All-Academic awards and was a candidate for the IMPACT Trophy which is given to a defensive player who shows great character. What does this all mean for Hansen’s prospects as a professional? I have no idea. The biggest knock against him will certainly be his age (other guys from the 2012 recruiting class: Landon Collins, Stefon Diggs, Jameis Winston). 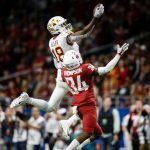 After reading about his back story, I have no doubt that Hansen has the patience and perseverance to make an NFL roster. If he does, he’ll stick because his versatility will make him ideal on special teams. Both teams are banged up and will come into this one short-handed. 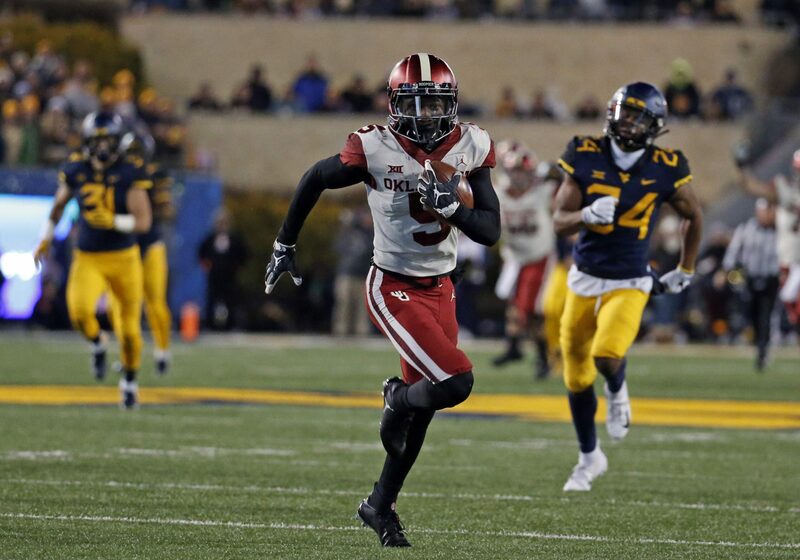 Utah has a top defense which should keep it close. Since I’m expecting a low-scoring affair, and since both teams lost their last two ATS, I will take the points and hope for the best. Sternberger is a former transfer from Kansas who excelled in his first season with the Aggies and new coach Jimbo Fisher. He led all FBS tight ends in receiving TDs (10) and finished second in yards (804). Sternberger is listed at 6040/250 but as usual appears smaller on film (that’s not a knock on him, just something I try to remind readers). He shows good enough speed and agility to run after the catch and is a natural pass catcher. I will need to do a more thorough study to evaluate his blocking ability but in truth it probably doesn’t matter. If guys like Evan Engram and Mark Andrews were first rounders, it’s possible that Sternberger could elevate to that level too. I haven’t seen anything official that Sternberger will declare for the NFL Draft so file his name away for next year if he decides to return. The line on this one started at +3 and moved all the way to +7. The hate has gone too far, methinks. A&M’s rushing defense is ranked 2nd in the FBS, meanwhile State’s is 13th. The passing defenses though are ranked 118th and 108th respectively. This one will hinge on which quarterback is more efficient with the ball and that will be Wolfpack QB Ryan Finley. Back-to-back tight ends? You bet, 2019 is shaping up to be a pretty good class. 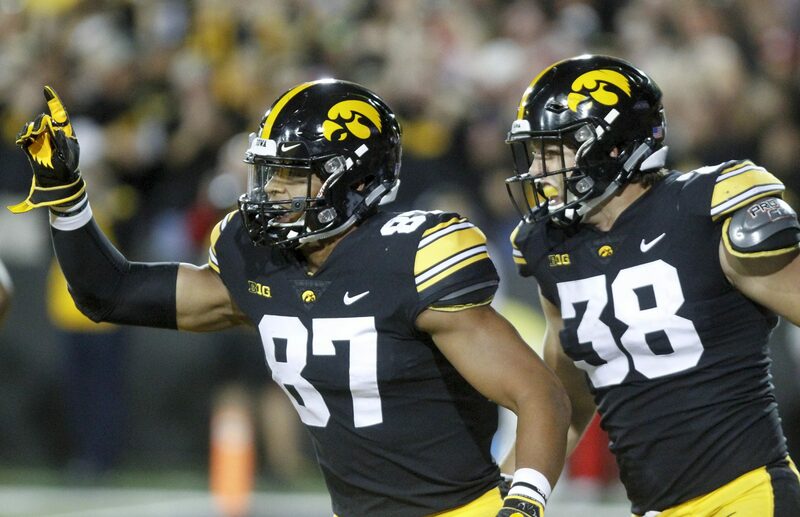 Hockenson will have an opportunity to make his case to America that he’s the better tight end on the Hawkeyes (Noah Fant will be sitting out the bowl game). Like Sternberger, Hockenson has not officially declared yet but that doesn’t mean we shouldn’t be paying attention. Despite Fant getting all of the plaudits, Hockenson led the team in receiving (46-717-6). Fant will have the edge athletically, but Hockenson is bigger (6050/250). 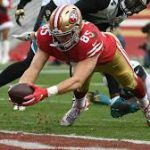 Considering how weak the tight end position was in fantasy this year, I have a feeling many of us will be looking for 2019 lottery tickets at the position. Similar to the NC State game, this line has moved a lot. I wanted to lean Iowa because of my Big Ten fandom but the stats tell me otherwise. The Bulldogs are 8-4 ATS on the season and 4-1 ATS in their last five games. In the three games this season when Iowa was getting points, they lost all three straight up and failed to cover. Benjamin Snell Jr. became one of my favorite players to watch this season. He finished the year with 1,330 rushing yards and 14 TDs to bring his career totals to 3,754 rushing yards and 46 TDs. That’s A+ production for a three-year starter. Snell lacks top-end speed but he’s fast enough for the NFL. I think he’ll predominantly be a two-down back in the NFL but he has the versatility to play passing downs. Since he’s unlikely to be a flashy prospect you may be able to get him for a bargain come your rookie draft. Kentucky has struggled to cover recently, losing 2-5 in their last seven. Penn State also features the better quarterback (Trace McSorley) and their own NFL hopeful back (Miles Sanders). So, I’ll take Penn State and lay the points. Lines and betting stats courtesy of OddsShark.com, as of 12/24.